I just love Halloween! Out of all the holidays, this one is especially meaningful to psychics because our connection to the “other” world is heightened. On Samhain, a veil is pierced that allows the spirits from the other side to whisper into our ears if you listen closely. Also, it is a time for spooks, ghouls, ghosts, goblins, and just good old fashioned “trick or treating”. Although the tradition of guising and wearing seasonal costumes stretch back to the Middle Ages, the first appearance of “trick or treating” (warning of the homeowner/resident of a trick if a treat is not given) began in 1911 in Kingston, Ontario. Eventually, the practice spread to other parts of Canada and ultimately made its first American appearance in Chicago in 1920. By the 1930’s, the practice of trick or treating became a widespread practice in the United States, and eventually permeated the media in 1939. 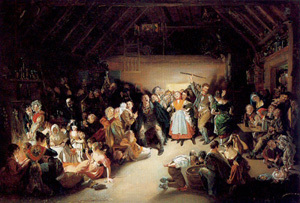 In the 21st century, Halloween and “Trick or Treating” remains popular, and each year more events occur to celebrate the magical Eve. Over the years, candy and other assorted edible goodies have been created specifically to cater to children who dress up in costumes and visit neighborhood doors to collect their loot. Inside bags across North America, assorted chocolates, lollipops, candy corn, and the occasional piece of fruit are enjoyed by many young and old. However, in certain cases “the trick” might be played on those individuals who are ‘souling’ (the medieval practice of the poor going door to door on Hallowmas receiving food in return for prayers for the dead) when they receive unusual treats. Ashton Kutcher recently tweeted a link to a fun posting from a Houston food blog. The site had posted candy images that were freaky, creepy and hysterically hilarious. The following includes psychic commentary that can be used for divination purposes using these images. Materials Needed: A bag of candy received on Halloween. Instructions: Divide out all your candy and see what you have received. You might want to place them in separate categories so that you can make sure you do not miss any of the tricks from the spirits, which have special meanings. Ask your bag of candy a question. Any question. Do you wish to know about your love life, career, or finances? Any questions that you would normally ask a psychic. Write your question down on a piece of paper. If you receive a bag of candy that has no anomalies, this means that the spirits are at peace with you. This year they plan to bless you with the abundance of certainty and prosperity. 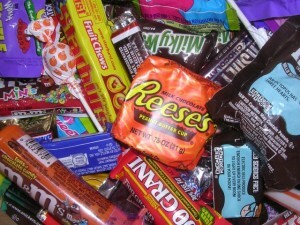 You will find your life to be very sweet and depending on the amount of candy in your bag – very rich! However, too much involvement in matters of the physical could lead to an upset stomach – especially if you overindulge in the chocolate tasting candies! On the divinatory level, receiving tons of chocolate means that lots of hot romantic activity will occur in your future, but if your bag is filled with more hard candy objects the next year will be focused on refining your personal matters such as business and career. If you receive a box or boxes of Spooky Nerds in your bag, then the spirits have provided you with a special blessing this year. Spooky Nerds are a powerful love symbol. You may find an interesting individual – possibly with taped glasses and a pocket protector in your future. If this person enters your life, take a second notice! Let me give you the progression. Nerdy guy leads to high SAT scores. High SAT Scores leads to MIT. MIT leads to Computer Programming Job. Computer Programming Job leads to being the CEO of a High-End Software business like Microsoft. Never judge anything by its outer shell, on the inside you might have just found your gold mine. 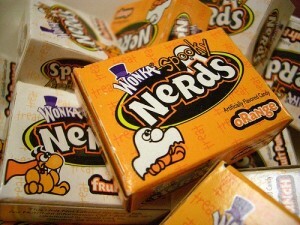 On a divinatory level, receiving a box of Spooky Nerds means that love — although in an unusual package – may enter into your life. If you are currently in a relationship, the message from the spirits is to dress your boyfriend/husband up in more nerdy ways – it just might rub off! 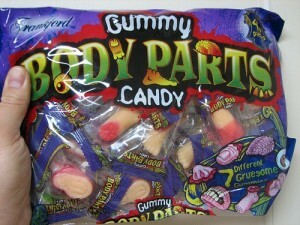 If you receive a package of Gummy Body Parts in your bag, the spirits are giving you a direct warning. You should proceed with caution, as an unusual individual in your neighborhood is thinking about you. Depending on what body part you receive will reveal what he/she is thinking about. Although this may creep you out knowing that others are thinking about you, it might not be all that bad. It might be that he/she is admiring certain parts of your anatomy – brains, fingers, lips, limbs or teeth. On a divinatory level, Gummy Body Parts are a sign from the spirits for you to horde what you have. Keep everything close to you, because someone may be after it – especially if you receive the Hannibal Lector Gummy Body Parts edition! Now, how about some fava beans and a nice Chianti? Oh, Zits! Remember them? They were those awkward red things on your face when you were a teenager, usually the result of eating too much candy or greasy foods. In other words, creations of God so that teenagers could not enjoy life! If you think about it, they are natures abstinence program for many, so we should not view them as all bad. 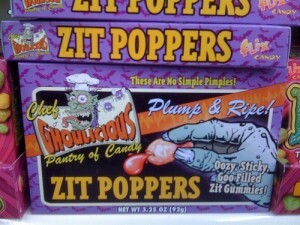 Receiving a package of Zit Poppers in your Halloween bag though is a very good thing! It reflects that new things are on the horizon for you. This could be either in love, career, or money. Since zits are a reflection of an early stage of life development before a situation comes into full adult form, you should embrace your zit poppers candy and cherish and nurture it further. On a divinatory level, Zit Poppers reflect the birth of something new, something coming to fruition in your life, and even the possibility of pregnancy. However, if you are under the age of 21, that will not come for at least 6 to 7 years or the spirits will be quite angry! Never tick a spirit off, remember Whoopi Goldberg from Ghosts? They might come to your house and sing songs all night – annoying the heck out of you. I know this is completely revolting. If you get this candy immediately check under your tables, desks, and chairs – anywhere occupied by young kids – and see if any crusty objects exist. If you do find some objects then you are blessed for years to come. Boogers are great when you receive them. They represent changes and negative circumstances from your life fading. Although difficulties from the past may still be apparent if you receive this candy, the spirits will make sure that your problems fade and evaporate as long as you pick them one at a time. 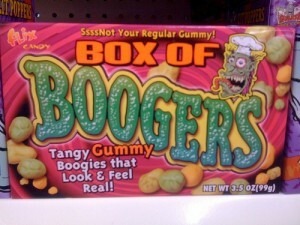 On the divinatory level, receiving a box of boogers means that your problems and situations are trapped in a box. If you take this box and immediately get rid of it, you will find your problems quickly evaporating from your life. However, if you choose to eat these boogers, then I can snot be responsible for any problems that may occur. You have been warned! For some reason, when I was analyzing this package, dreams, and visions of San Francisco — Oh, wait – that’s Rice A Roni! 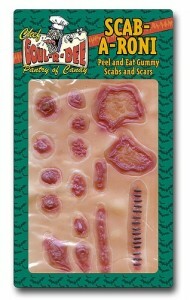 On the candy label, I noticed that there were 16 scabs that were available. 16 in many cultures, numerologically, and even in the Tarot reflect the tearing down of existing structures and something new is replaced. This could be ideas, belief systems that you have held onto, and even circumstances in your life that come in the form of disruption, yet give way to something good or better. In the Tarot, this is the Tower Card, and if you notice on the packaging it looks like 3 towers of scabby candy. On a divinatory level, when you receive Scab A Roni this means that circumstances that you have held onto well past their sell-by date will come crumbling down. You might even pick them off yourself, by looking at the areas of your life that you need to change. Remember, scabs are made of coagulated blood which is our most powerful life force. Once your scabs are torn off, new opportunities will come about that are much more beneficial to you. These are just the known creepy candy that I could find! I am sure that there are some unknown and some yet created or discovered. If you have others that you would like me to analyze and tell you what they mean psychically, just send me the images and I will be more than glad to find out what they mean and how to apply those candies into your life. All comments are appreciated. This entry was posted in Psychic and tagged Divination, Halloween, Halloween Candy, Oracles, Storm Cestavani on October 26, 2018 by Storm Cestavani. Are you confused about what type of psychic reading would be best for you? You are not alone! Many new callers have a hard time sorting through all the advisors on Keen.com to find one that they feel can help them with their questions about the future. These are just the top 20 types of psychic readings. I will explore many of their uses and other types of readings in future blogs. 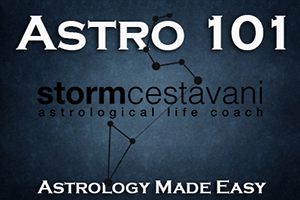 This entry was posted in Psychic and tagged Online Psychic Readings, Psychic Readings, Storm Cestavani on October 19, 2017 by Storm Cestavani.